Farm Bureau members in north-central Florida have a unique opportunity to participate in an ongoing discussion of issues affecting farmers, ranchers and rural citizens. 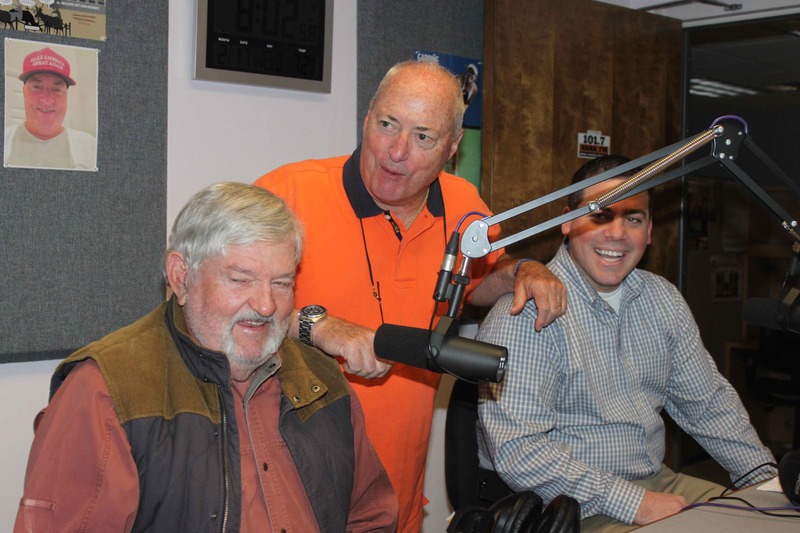 The Alachua County Farm Bureau Ag Show airs from 8-9 a.m., every other Wednesday on WDVH-AM/FB, 980 AM and 101.7 FM. This week’s show will feature ACFB local government and land use consultant Phil Leary and Florida Farm Bureau Federation Director of legislative affairs Adam Basford. The two discuss issues pending in the current legislative session that are important to agriculture and rural residents. During a break in the inaugural program, Host Ward Scott chats with guests, Alachua County Farm Bureau President Winston Rushing and Michael Rogalsky, director of Field Services, Florida Farm Bureau Federation. Rushing noted the Hank-FM 101.7 signal reaches many other counties that have active county Farm Bureaus. “We welcome calls from folks in those counties. This program is intended to be a service to everyone in the listening area. The Farm Bureau’s mission is to to increase the net income of farmers and ranchers, and to improve the quality of rural life. The program is streamed live on the Internet at https://soundcloud.com/farm-bureau-ag-show/alachua-co-farm-bureau-ag-show-for-6-8-2016 .